Kersey is a volunteer member of our team and is involved with research, planning, Tracking Assessments and other aspects of our courses, as well as bringing out student groups from the USA on courses with her company Original Wisdom. She is a FGASA back-up trails guide, who has been visiting, instructing and volunteering since 2008 with Nature Guide Training. 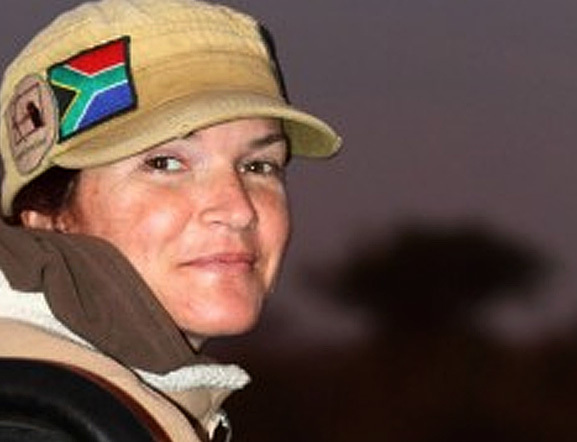 She is a highly qualified tracker, studying this skill on two continents. She is currently the only female Senior Tracker in the world, and is also a Track and Sign Assessor here in South Africa. She is currently finishing her PhD focussing on trackers, with the University of Connecticut, where she is an award winning teacher. Kersey was born in the USA.